I rediscovered the simple fun in making gelatin desserts. Nothing fancy really. 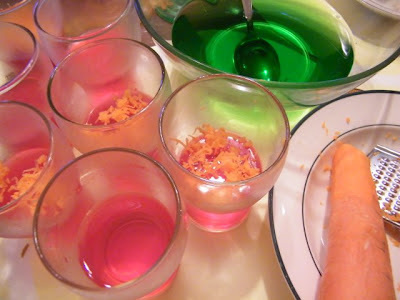 The colourful gelatin is the star; any other ingredient plays a minor presence. Well, good morning, everybody, and welcome to day 255,642 aboard the Axiom. As always, the weather is a balmy 72 degrees and sunny, and, uh... Oh, I see the ship's log is showing that today is the 700th anniversary of our five year cruise. Well, I'm sure our forefathers would be proud to know that 700 years later we'd be... doing the exact same thing they were doing. So, be sure next mealtime to ask for your free sep-tua-centennial cupcake in a cup. Wow, look at that. Well, this is my Christmas season in a cup. The red and green makes it feel festive! To make this, simply cook the red gelatin as per package direction, then ladle onto the cups. 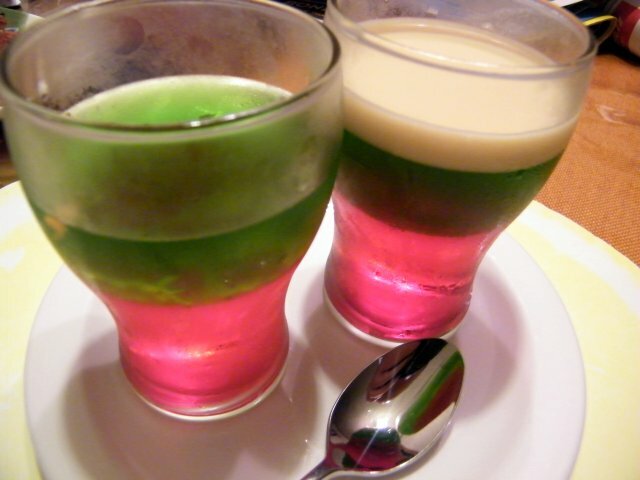 Chill until solid, then cook the green gelatin and cool it off a bit before pouring into the cup. Then refrigerate. Before serving, add some evaporated milk on top. Oh, and I also added some grated carrots before pouring in the green gelatin, as adapted from another gelatin recipe. 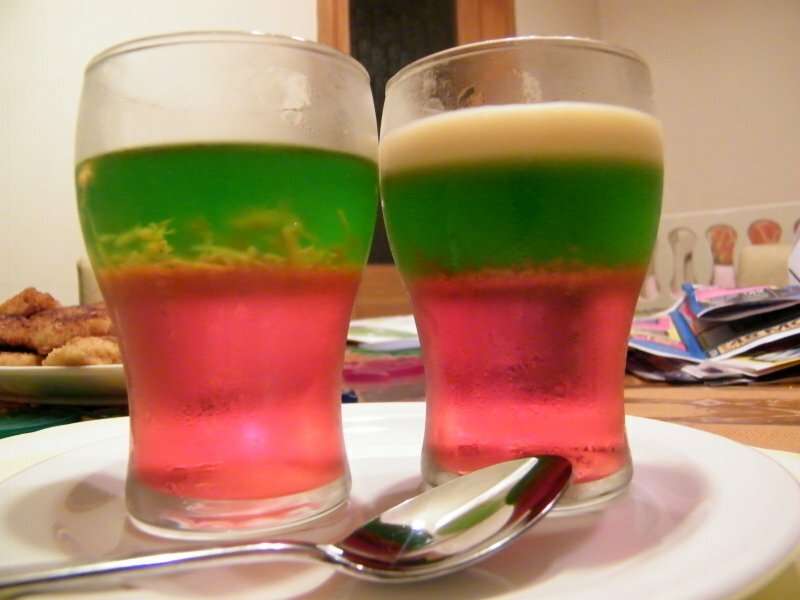 I think I'll try having even more colour stripes in my next gelatin cook-off.